Dr. Gawande does a fine job of sharing his realization that he was missing something in the way he took care of his patients. One of his biggest barriers in providing good care for seriously ill patients is the very common situation when patients want to try everything until it gets to be the point where the treatments are no longer likely to help. Then they want to emphasize quality of life, frequently wishing to be at home rather than the hospital at the very end. Unfortunately, our prognostication simply is not that good. Diseases do not always cooperate and provide the clear signs we need. We are reduced to probabilities and estimates. Therefore it is very easy to keep trying more things (as Dr. Gawande points out, there are almost always more things) and to miss the window to adjust the approach toward one that places a greater emphasis on quality of life rather than quantity of life. This dilemma also contributes to why most people in the US say they would like to die at home, yet so many of us die in hospital. As physicians, we are well aware that one of these COPD or CHF exacerbations is likely to be the fatal one, or that our patient with Alzheimer’s is likely to die of one bout of pneumonia. We just don’t know which one it is. Doctors don’t have crystal balls. The struggle the doctors face in this program is very real and very common. Most of us went into medicine in order to try to fix things or at least to make them better. I personally find a lot of scope for making things better in incurable diseases (and a lot of satisfaction in doing so), but that is foreign to many physicians. The death of your patient is a failure. It takes a fair degree of self-awareness to adjust that outlook and broaden your definition of success. 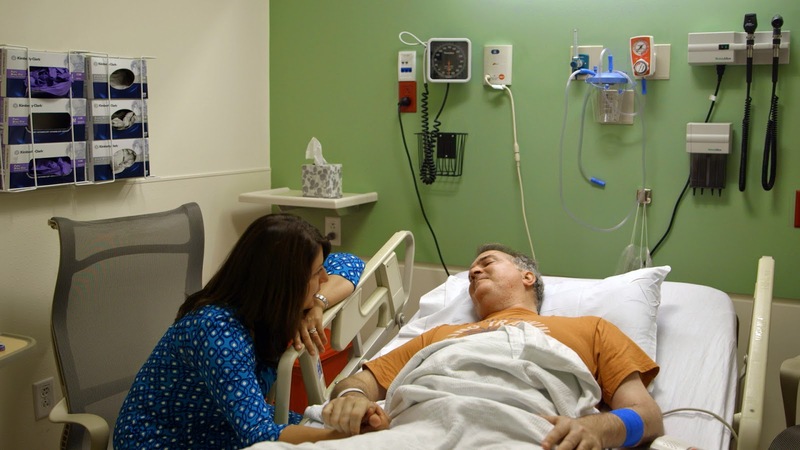 The place where this video really shines is in the portrayal of patients and families as they go through this process. 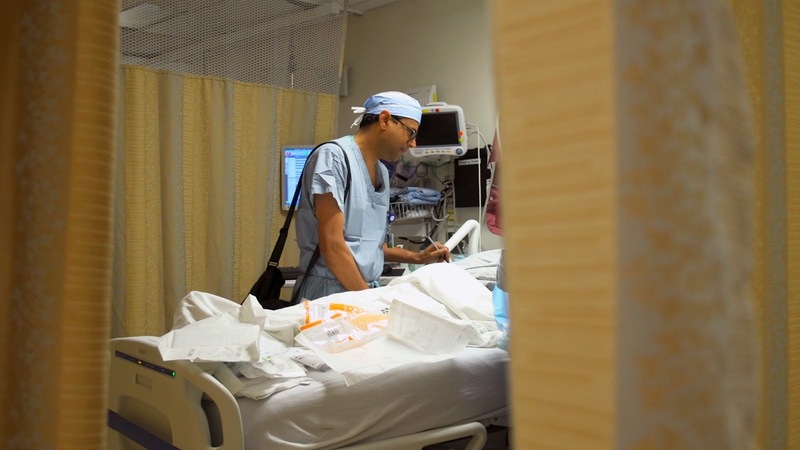 That starts with Dr. Gawande’s own insight into the illness of his father and the effect that it had on him and on his mother. He recognizes this as a catalyst for trying to do a better job as a physician. I’m not sure he really recognizes the importance of his being his father’s son rather than his father’s doctor, but this change in perspective shows through in the episode. As a kumbaya sort of doctor, I’m neither surprised nor shamed to admit that I teared up during some of the patient/family interviews. It would take a jaded person not to be somewhat affected. It’s okay if you want to claim there was a persistent speck of dust in your eye. I struggled quite a bit writing this review. In retrospect, I think that is because of the lens through which I originally viewed the video. Doctor-patient communication and informed shared decision making is one of the most important elements of medicine to me. The choices I’ve made in my training and career have emphasized this. As I was watching the video, I was thinking: “You are not doing a very good job here. I could do much better.” Actually, what I was thinking was a lot less polite than that and was also liberally laced with profanity. On more solemn reflection, that is a completely unfair way to view this video. “I could do much better”. True, but trivial. I’m a specialist in this area. If I couldn’t do better than most specialists in entirely different areas, then I’ve probably made some poor career choices along the way. Therefore, before writing this review, I watched the video two more times, once with an emphasis on watching the struggles of the doctors and then again with an emphasis on the experiences of the patients and their families. I’ve essentially finished the review proper now. This was a worthwhile video and I recommend watching it. You can stop reading now. Still reading? Okay. Now it’s time to move on to the cranky-specialist-rant portion. And this rant is not necessarily about the video itself, but more about how it shows our medical system currently works. First the disclaimers. This program is less than an hour long, and therefore cannot be comprehensive. 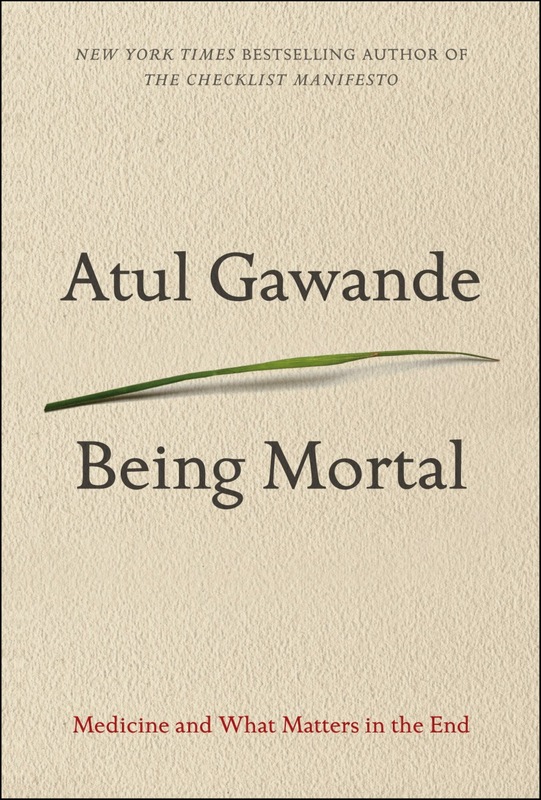 Dr. Gawande was able to include considerably more nuance in his book, Being Mortal. That book is excellent. It is well worth reading by physicians and non-physicians alike. A couple of caveats when taking a more critical eye towards the conversations shown; it is important to understand we do not see the full interactions between physicians and patients/families. The clips shown may not be representative of the whole. In addition, most of these physicians were not palliative specialists. They were specialists in other areas of medicine. I shudder to think of what scathing commentary I might receive if they got to view my patient interactions that touched on their specialty areas. It is important that people do not perceive this program as a good guide for how to discuss serious illness. It shows the very infancy of the move to improving communication. It is like the move from rotating tourniquets to loop diuretics in CHF. We’ve still got to get to ACE-I/ARB, beta blockade, spironolactone, AICDs (and maybe digoxin, dobutamine, ASA). There are typical errors that physicians make, and most of these physicians did not avoid those errors. We are good at giving pathophysiology lectures. It’s what we’ve learned to do and what we’ve been rewarded for doing during our training. When the situation gets difficult for us, it is very natural to revert back to that paradigm. There are patients for whom such an emphasis is useful, but these are in the minority. The better time for talking about the medical specifics is usually after understanding has been ensured, goals have been discussed, and concerns addressed. If your patient is worried about whether or not she is going to make it to her daughter’s graduation, you aren’t doing her any favors by leading off talking about her liver function tests. It is common to think of the decision regarding curative intent vs. palliative intent treatments as a dichotomous one. Unfortunately, the Medicare Hospice Benefit in the US strongly emphasizes this approach. 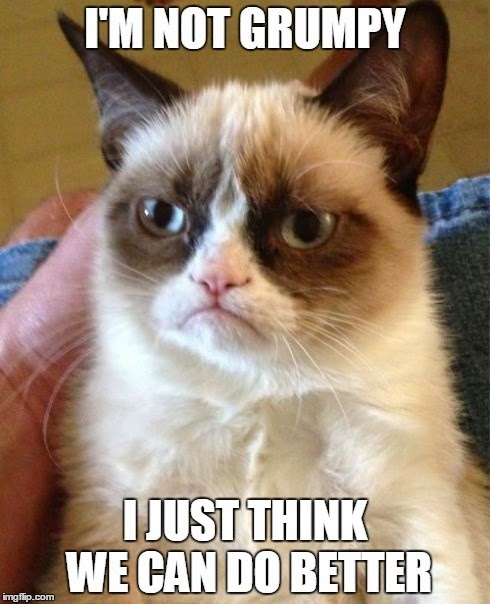 Multiple times during the video, the concept of “There will come a time when we need to…” came up. There is a better way to approach this. There shouldn’t be a sharp line here. There should be a constant evaluation of the patient’s understanding of the disease and of their goals. It is only in context of a patient’s goals that you can truly recommend treatment options that are concordant. A decision will often have to be made in terms of tradeoffs. Which should you preference: quantity of life or quality of life? Sometimes interventions can help with both. Those are the easier ones. When a decision has to be made to preference one rather than the other, the patient’s input is critical. That process should begin much sooner than it usually does. I hope you watch it Tuesday night and share some feedback on what you gathered from the show. There is no way I’m taking that %*@$ morphine!